SPFL Premiership. Kick-off: 3pm, Saturday 29th December. THIS was one of the tastiest derby dust-ups in Scotland last season, with passions spilling over into the dugouts. Former Dundee gaffer Neil McCann's infamous touchline scrap with St Johnstone keeper Zander Clark was the highlight, while rival boss Tommy Wright also rattled the former Sky Sports pundit's cage. With McCann no longer at Dundee, having been replaced by Jim McIntyre, some of the edge has been taken off this showdown but there will still be plenty of needle. The Dark Blues desperately need a win as they bid to get off the bottom of the table in the final game before the Premiership's winter break. 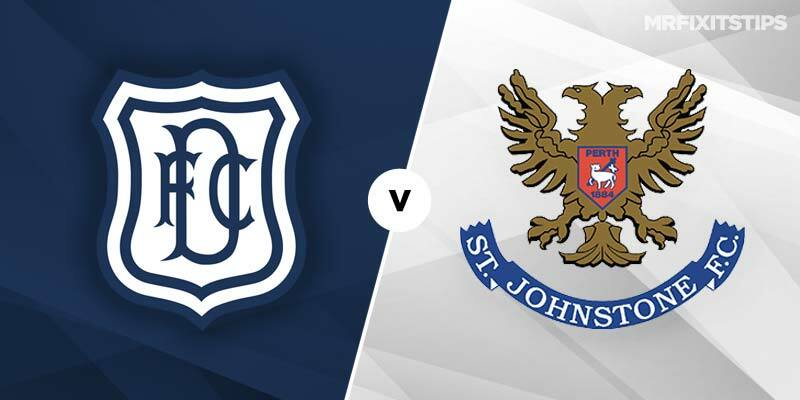 They got a point against Livingston at Dens on Boxing Day but really need some wins on home soil to stand a fighting chance of avoiding relegation. They're 9/4 with 888 Sport to get three precious points on Saturday while St Johnstone are 57/50 and the draw is 5/2. Dundee had the edge in this derby last season, winning three of the four games, although Saints did romp to a 4-0 win at Dens in the match that led to the touchline rammy. The Perth side edged it 1-0 in their first meeting this season and this promises to be another tight one. The odds on a lack of goals are poor though with 888 Sport offering just 13/20 on under 2.5 strikes. It could pay to back either side to win after a level first half, with Dundee 13/2 at 888 Sport for such an outcome and St Johnstone 9/2. Saints left it late before nicking a 1-0 win on the road at another struggling side, St Mirren, on Boxing Day. If you fancy a repeat scoreline then 888 Sport chalk up 23/4. In derby matches there's always a good chance of a penalty being awarded so it could pay to back that at 12/5 with 888 Sport. Kenny Miller left his shooting boots at home in the stalemate with Livingston but still looks Dundee's biggest threat. The veteran is 6/1 to break the deadlock and 27/10 for anytime scorer with 888 Sport. For a longer-odds option, try St Johnstone midfielder Blair Alston who is 11/1 and 5/1 respectively in the same markets.